American Golden Plover is a medium-sized shorebird from America. They nest in the far north and migrate to South America over winter. 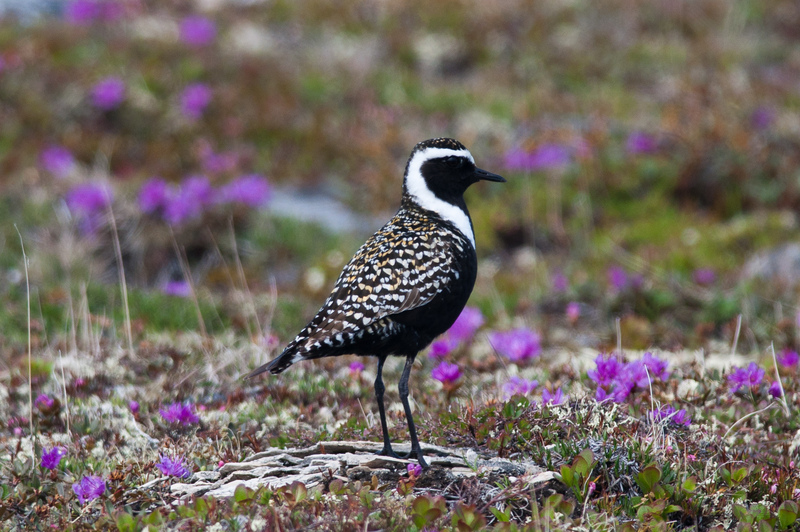 The American Golden Plover is 9.5-10 inches (24-25.5 cm) long. The feathers are brown, golden-brown, and white; it has a white, S-shaped mark along the head and sides. American Golden Plover nests are simple scrapes in the ground. Females lay 3-4 brown eggs with dark markings in each clutch (a set of eggs laid at one time).